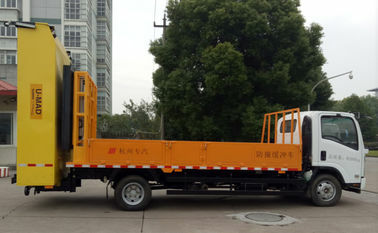 The truck is equipped with special automobile anti-collision buffer vehicle buffer device and large LED display with arrow mobile security features on the automobile chassis, can be used for safety protection of highway, municipal engineering, city road, elevated road and other roads on mobile maintenance, temporary road construction and traffic accident or emergency. 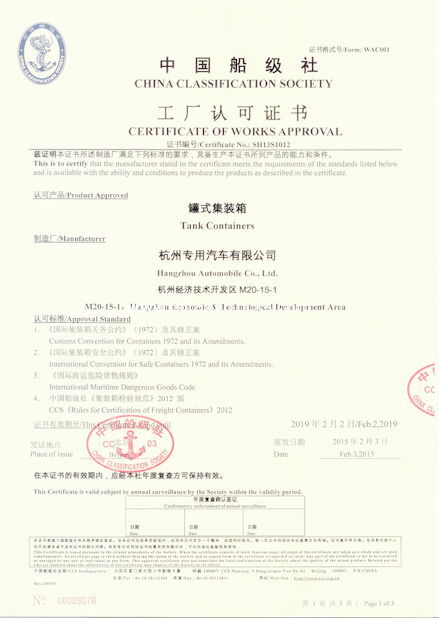 The purpose is to protect the construction or rescue personnel, construction equipment free from traffic accidents, to avoid a second accident, can also greatly reduce the vehicle damage. Used FAW or ISUZU chassis, attractive appearance, strong power, huge carrying capacity, good stability, economic environment and the luxurious cab, especially for long-time work. With a large LED display which can raise and lower. Can rise up about 1.8 meters as a whole. The maximum height of the display screen is about 4.88 meters. The contents of the display can be custom-made, usually showing red or yellow scintillating guide arrow. The display has a WIFI signal input function, and the operator can control arrowhead guidance and text input in the cab. Attenuator Truck is the latest operating vehicle which independently developed by our company, it has nice exterior, compact structure, easy operation, safe and reliable features. It is a device intended to reduce the damage to structures, vehicles, and motorists resulting from a motor vehicle collision. 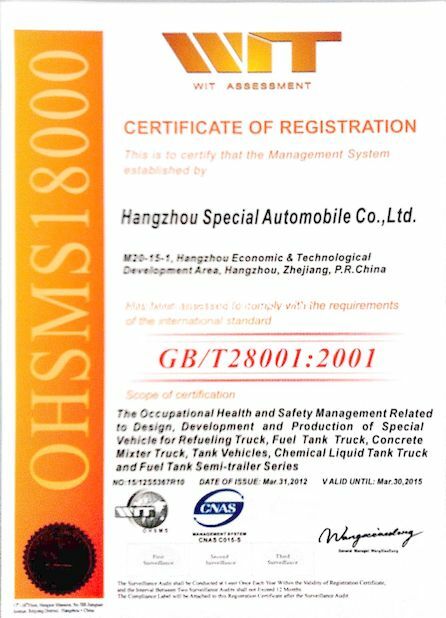 It is designed to redirect the vehicle away from the hazard or away from roadway machinery and workers. Usually placed in front of fixed structures near highways, such as gore points, crash barrier introductions, or overpass supports.